SKU: MV57. 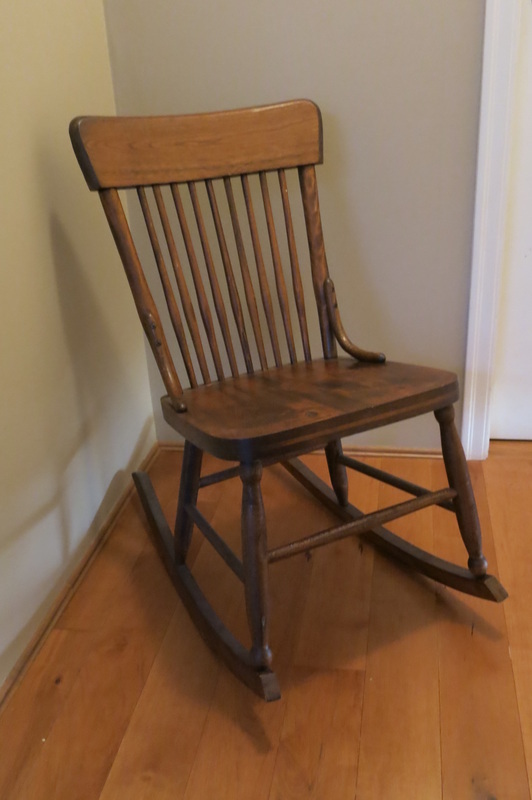 Child's rocking chair. Goldie Locks would like this one. Circa 1930. SKU: MV39. 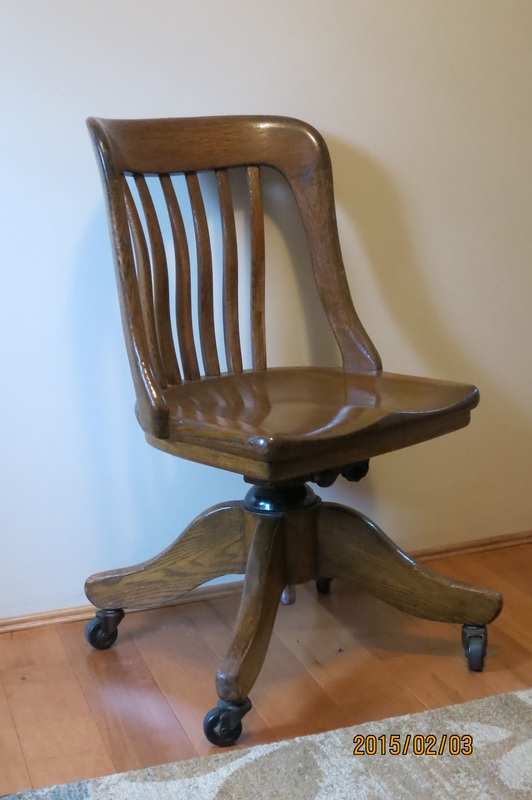 Oak desk chair on rollers. Circa 1930s. SKU: MV38. French Provincial style desk. Size: 36" high, 37 wide, & 21' deep. SKU: MV37. 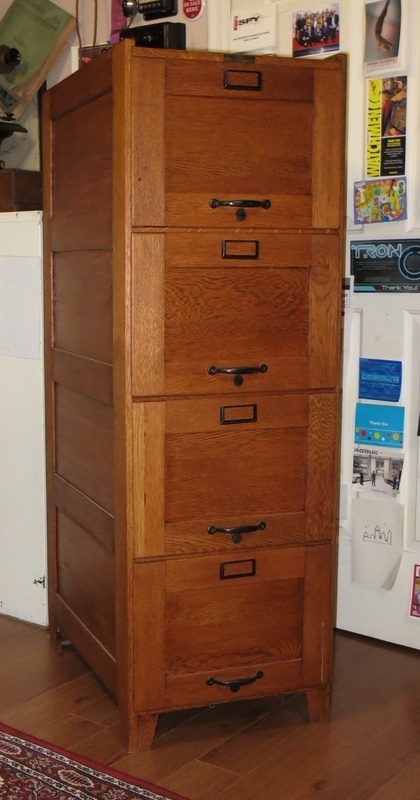 Oak filing cabinet. 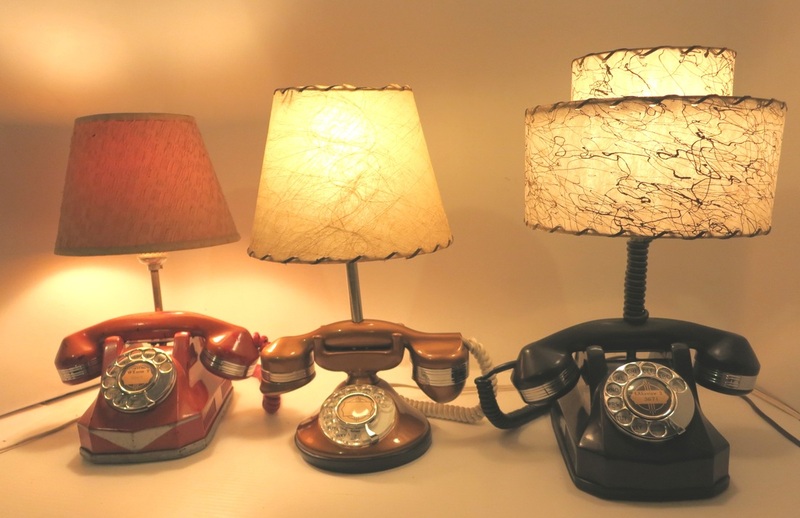 Size: 53" high, 18" wide, & 25" deep. Circa 1930's. SKU: MV28. Punch clock. Oak: quantity 1. Circa 1930. SKU: MV38. 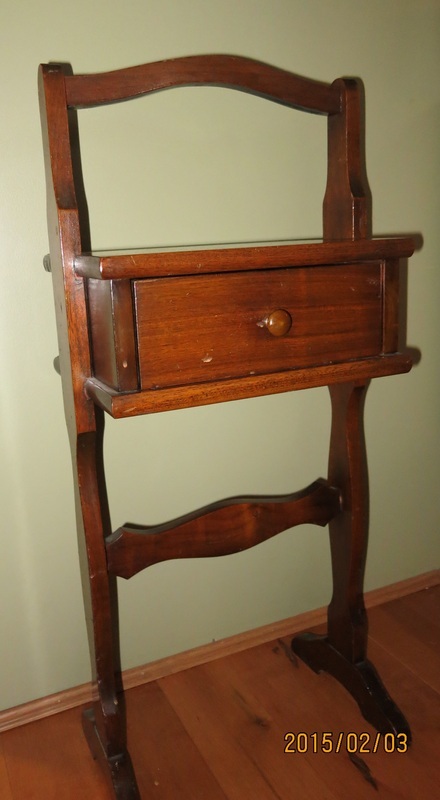 French Provincial style desk. Writing surface open. SKU: MV43. 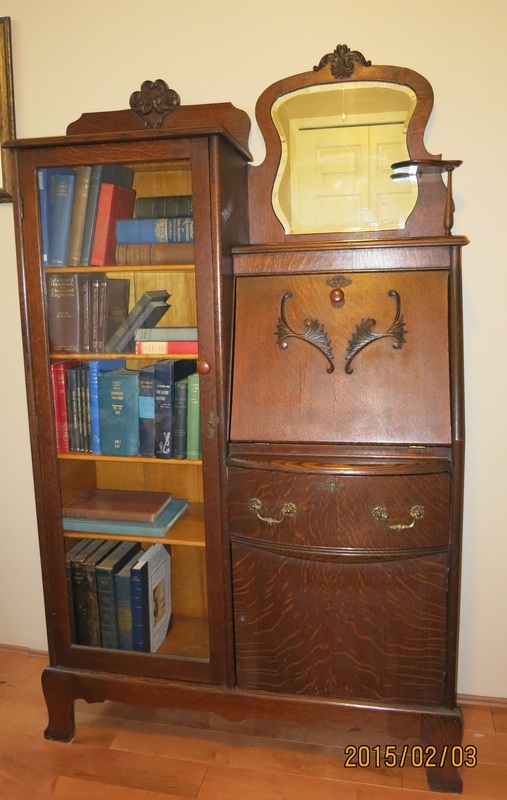 Combination oak book case & desk. 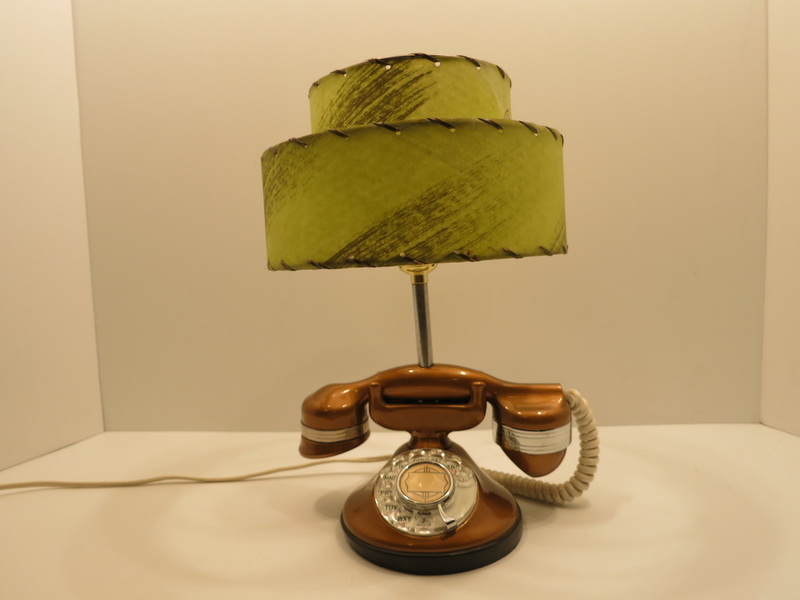 Size: 66" high, 40" wide, 15" deep. Circa early 1900's. SKU: MV43. Writing surface open. SKU: M40. 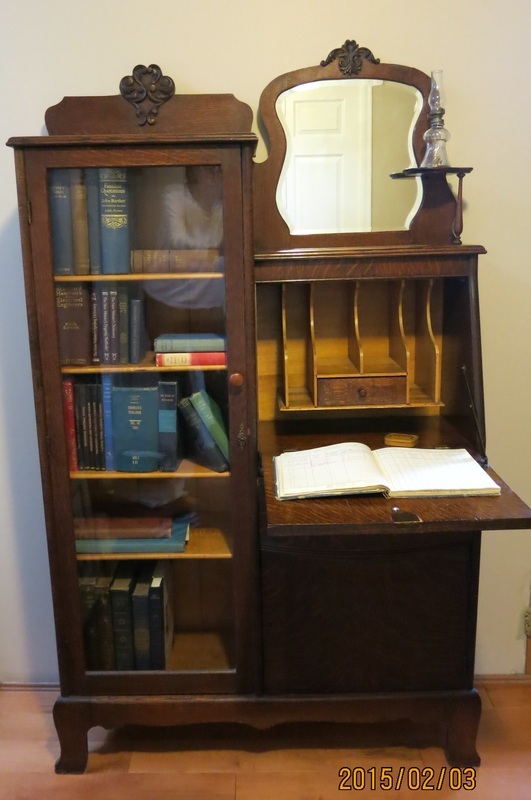 School desk or phone table with book shelf and compartment for pen and ink. 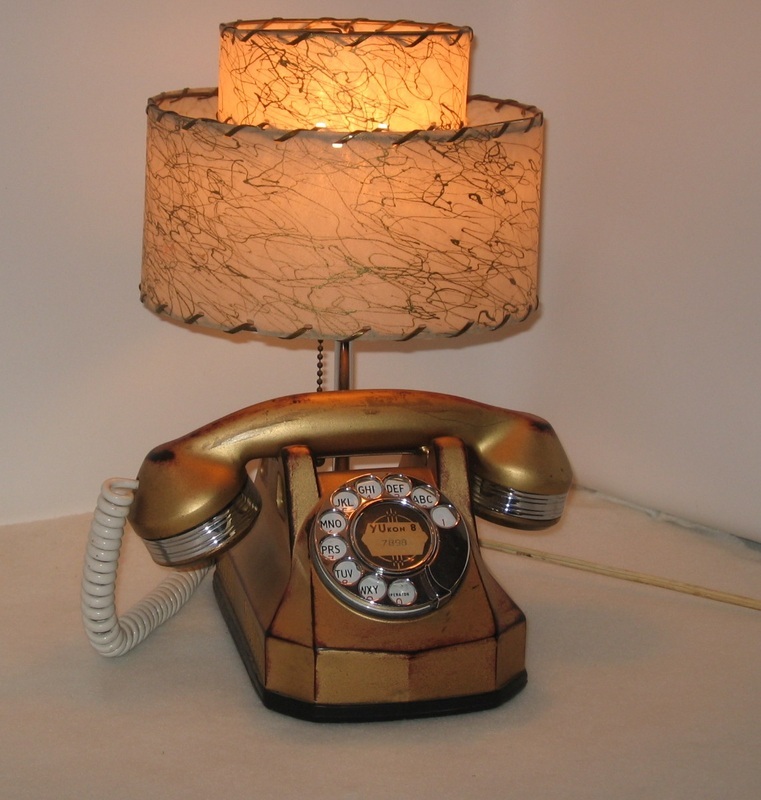 Size: 33" high, 22" wide, 17" deep. Circa 1930-40. SKU: MV44. Walnut hallway bench with tapestry seat. 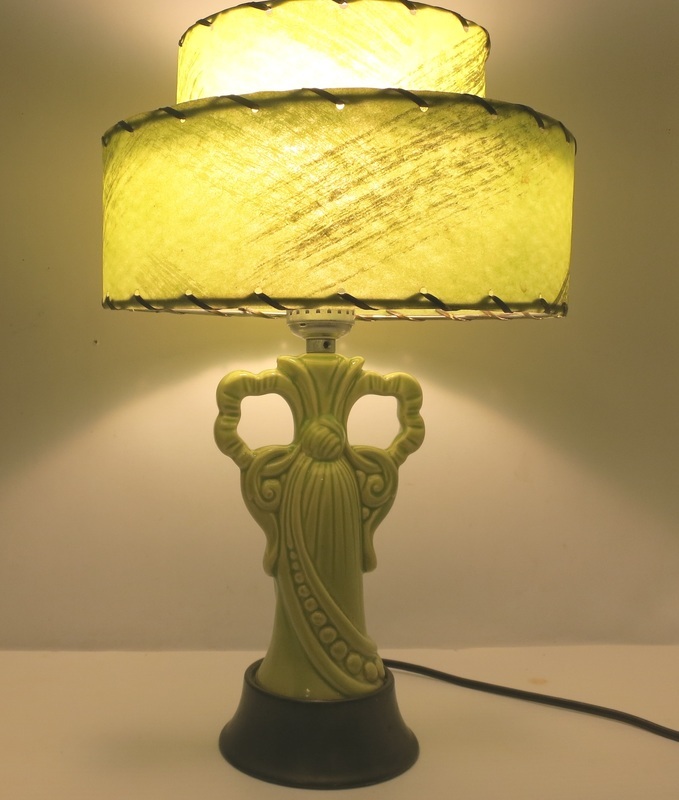 Size: Width 39", height 35", depth 21". SKU: MV45. Portable smoker's table. Height 31", width 13", depth 9". Circa 1940's or 1950's. SKU: MV42. 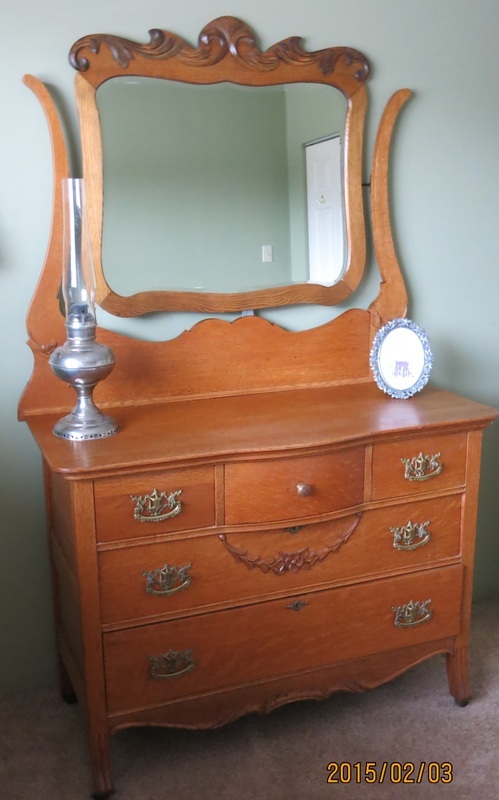 Bedroom dresser. Oak. Circa 1910. SKU:M64. 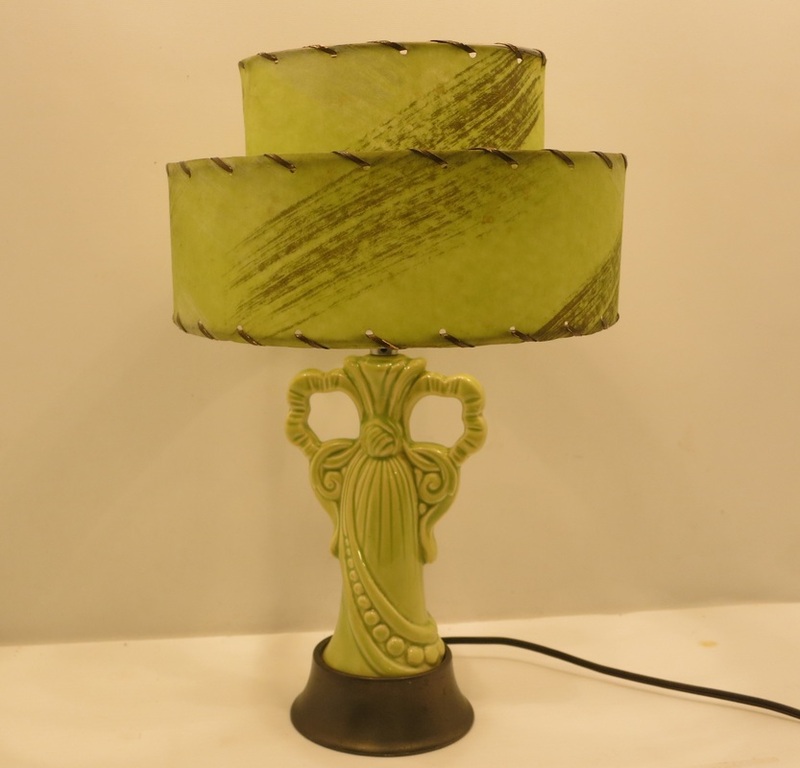 Decorative china lamp with fibreglass double decker shade. Apple green. Quantity 1. Circa 1950. SKU: M40. 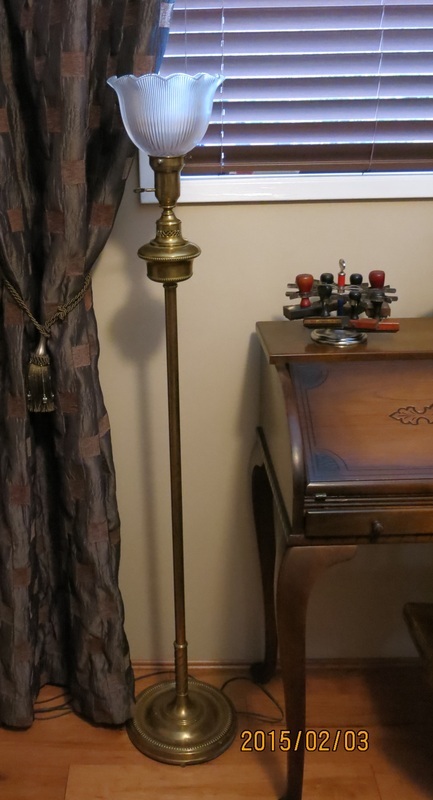 Brass standing lamp. Circa 1915. 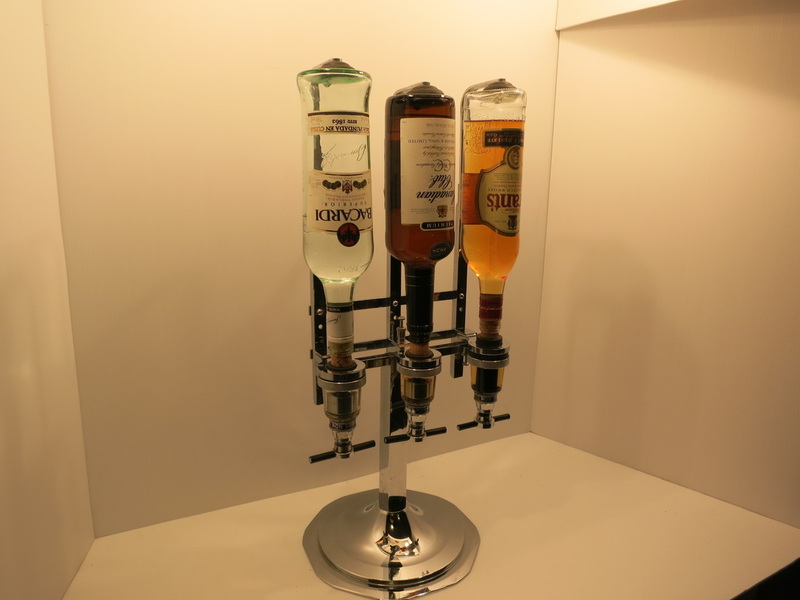 SKU: Gaskell & Chambers bar equipment - liquor dispenser. 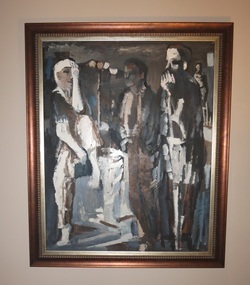 Circa 1950-60. SKU: MV59. 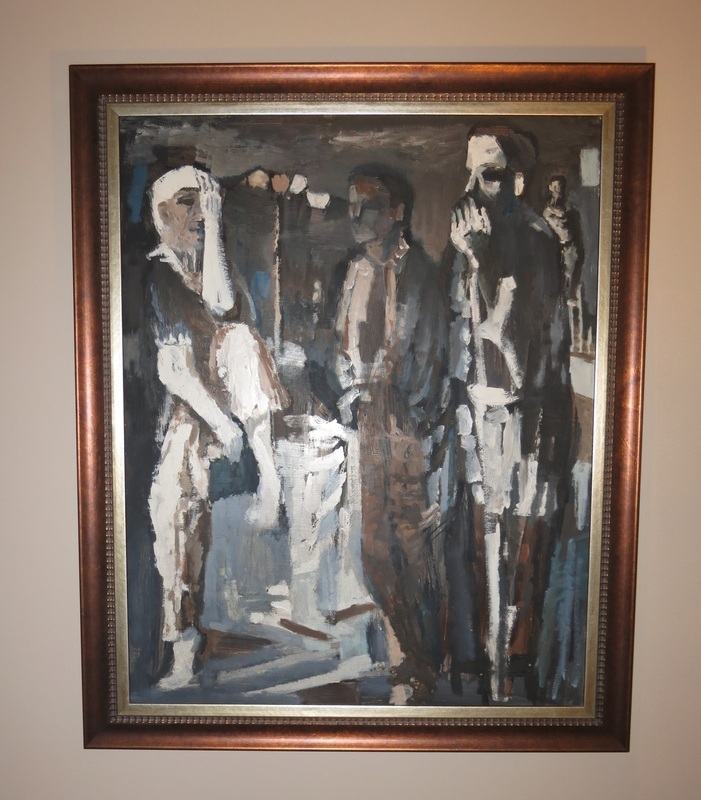 Original oil painting in copper frame. Circa 1958. Size: height 34", width 28". SKU: MV58. 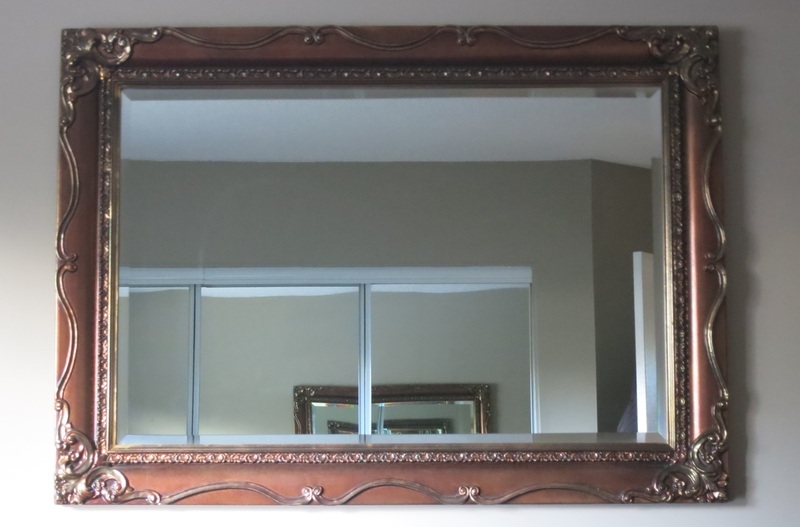 Mirror with guilt frame. Height 31", width 43". Circa 1970. SKU:MV61. 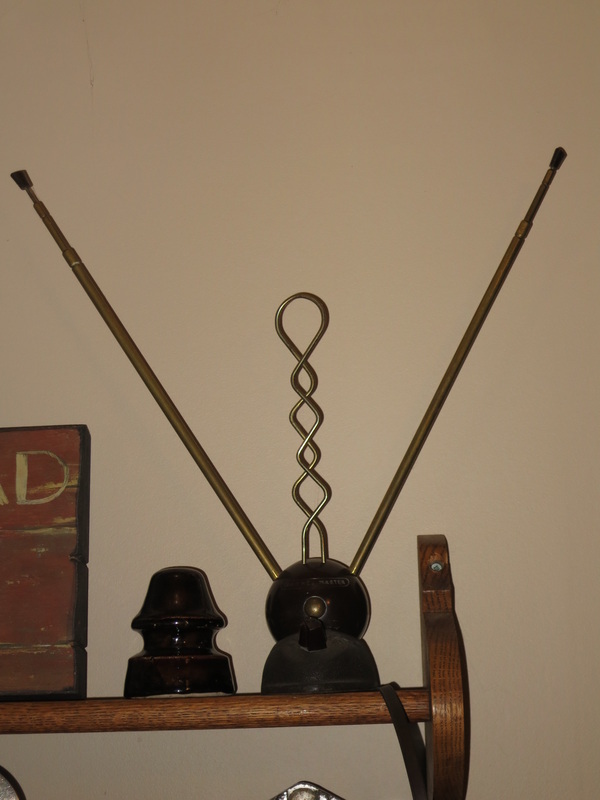 Television rabbit ears. Circa 1950. SKU: MV25. 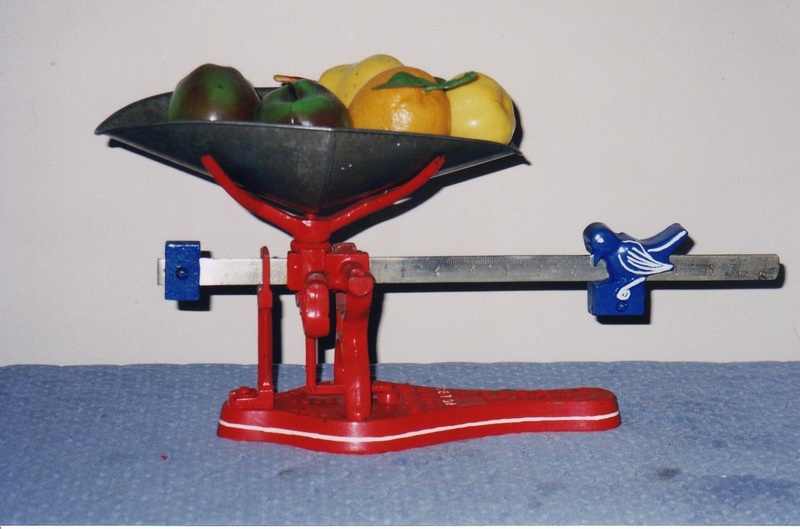 Weigh scale with bird. Red: quantity 1. Circa 1920. SKU: MV26. 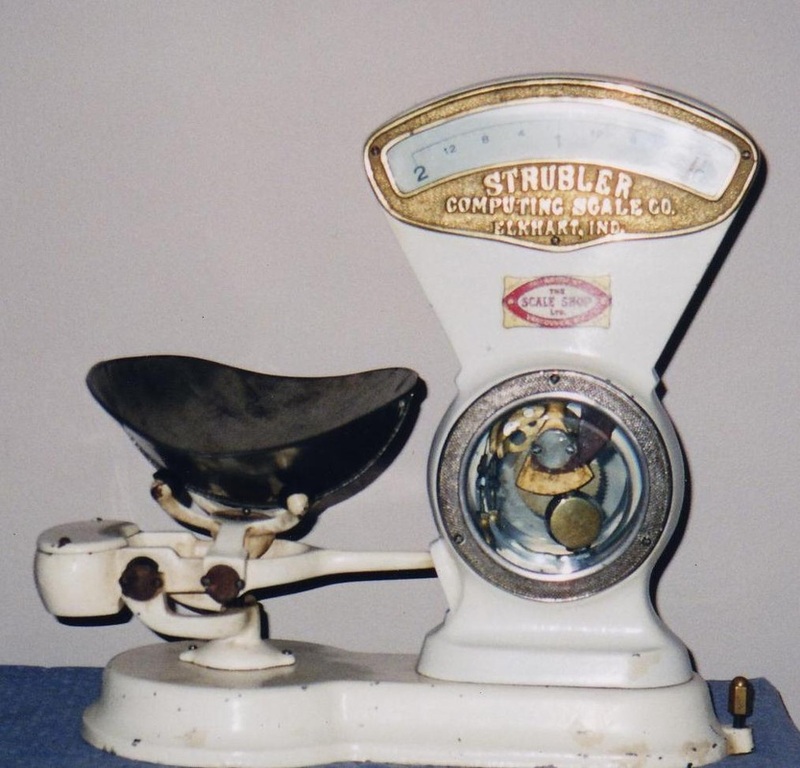 Strubler candy story 2 lb weigh scale . White:quantity 1. Circa 1912. SKU. MV27. 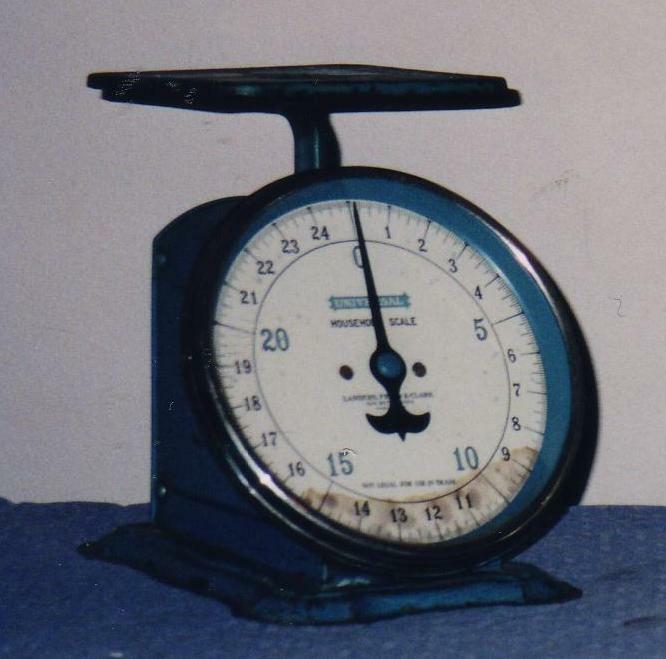 House scale 20 lb. Blue: quantity 1. Circa 1920. SKU: MV50. 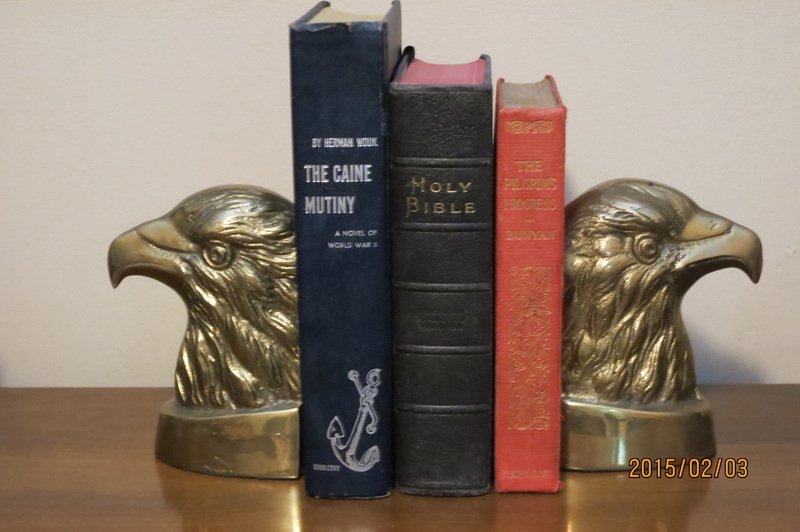 Brass book ends. SKU: MV56. 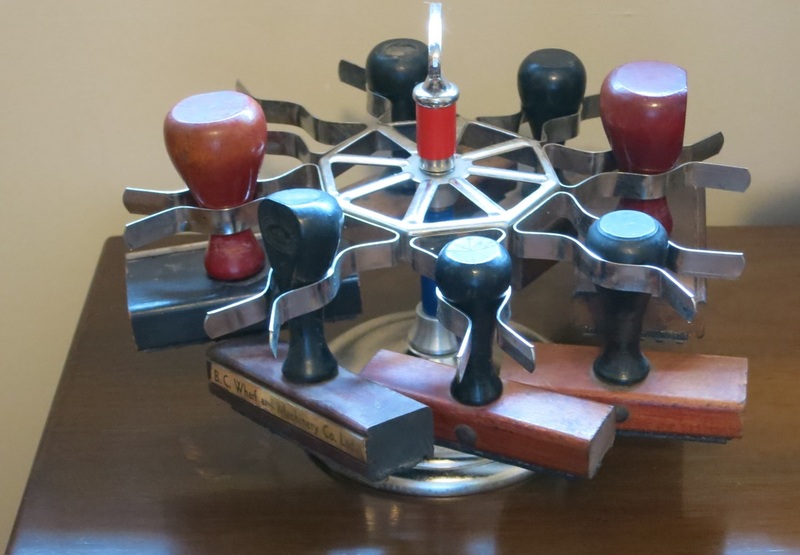 Antique ink stamps for office use. SKU: MV51. 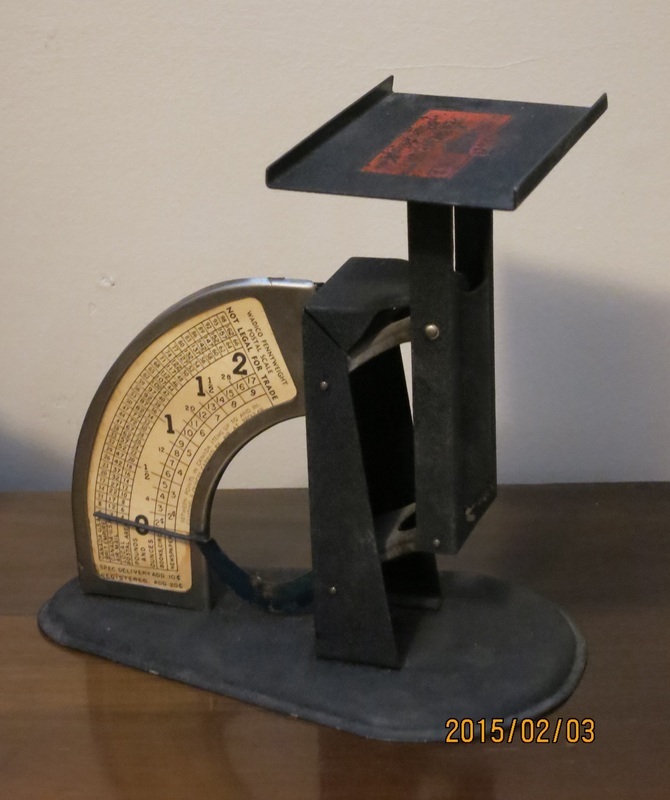 Postal scale. Circa: Pre 1950's. SKU: MV29. Singer portable sewing machine. Circa 1950. SKU: MV29. Singer portable sewing machine & carrying case. Circa 1950.